Traditionally, political uncertainty is one of the biggest market movers with effects on the equities, Forex, and commodities market. Political commentators and Wall Street analysts have drawn up interesting inferences on the effects of political uncertainty on the markets after significant political events such as elections and referendums. For instance, the prevailing thesis on the effects of political uncertainty on the market is that Americans tend to vote for the same candidate or party if the economy is robust and they tend to vote for the opposition if the economy is weak. It is already cliché that the markets hate uncertainty and you can trust Wall Street to have a bullish performance in years when the election results are predictable than in years when the election can swing either way. The market doesn’t usually record much volatility ahead of election in which the incumbent is contesting reelection because the incumbent will most likely win and there won’t be much of a change in economic policies. However, in the last U.S. presidential election between Donald Trump and Hillary Clinton, the risks of change in economic and foreign policy was high because both candidates had widely different plans. Trump was easily the wild card because his proposed economic and foreign policy plans were ‘unconventional’ and Wall Street analysts were quick to opine that a Trump presidency will bring in a unprecedented level of uncertainty to the markets. However, the chart above shows how U.S. equities and the volatility index have fared since Trump won the election. You’ll observe that U.S. stocks have booked gains since Trump won the election on Nov. 8 2016. 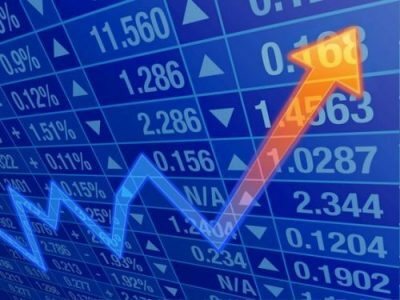 The S&P 500 is up 10.70%, the NASDAQ Composite is up 12.33%, the Dow Jones Industrials is up 14.14%, and the Russell 2000 (small caps) is up an incredible 15.04%. Conversely, the fear gauge in the market has recorded a massive drop with the VIX index declining by 38.9% in the same period. Steve Williamson, an analyst at Lionexo binary options observes that “the performance stocks in relation to the volatility index shows that U.S. equities have not been plagued by the expected volatility that should have resulted in a change in government.” In essence, it appears that political risk is starting to have a lesser effect on the markets. Interestingly, 2016 showed many signs indicating that political uncertainty has lesser influence on the markets. For instance, the markets recovered from the shocking Brexit vote in four days despite the fears that the Britain’s exits from the EU might trigger chaos in the Eurozone. The whiplash in U.S. stocks after Trump’s surprise victory didn’t last more than four hours. Italians rejected proposed constitutional changes from Matteo Renzi’s pro-EU government and the effect of the referendum was lost on the Italian market in about four minutes. Pro-EU market watchers have started drawing inferences on how the results of the upcoming French elections could affect forex markets in the EU, U.S., and the rest of the world. One of the top candidates in the French presidential election, Marine Le Pen has indicated that she’ll drop the use Euro in France – a move that might be the prequel to France’s exit from the EU. It still a little too early to know if the results of the French elections will have a drastic effect on the market or not. However, based on the recent performance of the markets, we can safely bet that the markets will see a swift correction that will erase any volatility irrespective of how the French vote in the next election.